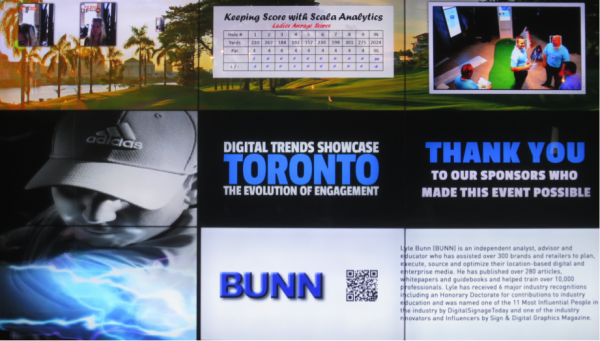 Digital media providers collaborated to showcase a range of engagement scenarios during the Digital Trends Showcase (DTS) in Toronto, Oct. 7 and 8, for over 450 pre-registered brand, media and supply professionals. 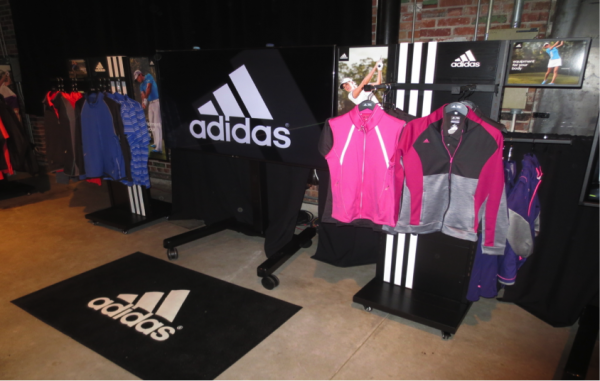 The Adidas (golf) brand was used as the example brand and the walk-through layout reflected a 9-hole golf course including a “10th hole” Club House. The team that brought it all together included display manufacturer LG, several solution providers, and my own project planning firm, Bunn. “It is about using media along the path to purchase for branding, merchandising and to provide improved ambiance and vitality” noted Tobin Costante, National Technology Manager, Business Solutions Division, LG Electronics Canada Inc, adding “flat panel and mobile devices (both of which LG is a leader in providing), are not just for media presentation but should be considered devices for viewer engagement”. “Retail Marketers have such a challenge in having to work with individual vendors to put together experiences that delight and engage their customers. The installations shown at DTS enabled retailers to see first hand that providers can come together to provide solutions, and not just components,” said Amy Wilson of Scala. “Gamification” adds vitality and character to a brand while increasing the attractiveness of a location and helping to make it a preferred destination. Digital games such as trivia, augmenting reality and integrating physical activities add to the fun of brand engagement in the retail, attraction, pop-up display or workplace environment.